Find hidden "Easter" eggs in our website and win awesome prizes. 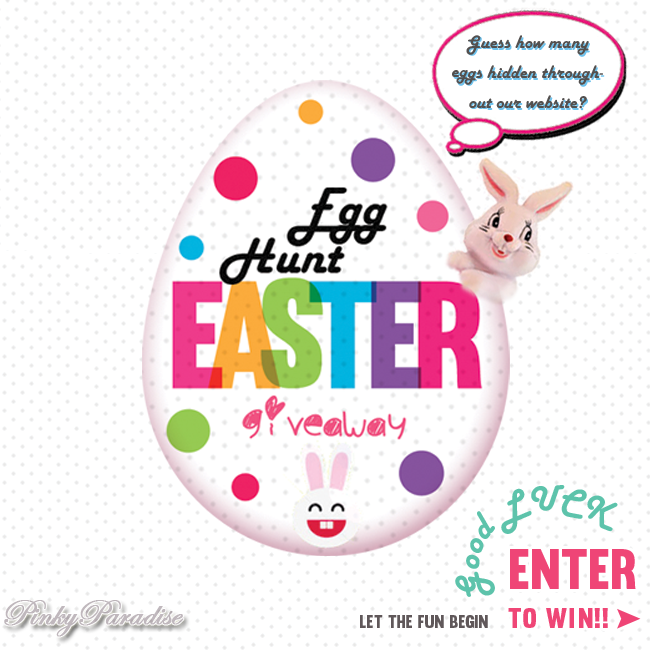 It's so easy with 'PinkyParadise Easter Egg Hunt" giveaway! Flip around our websites and search for "Easter" eggs hidden inside. Total up the amount of eggs found and fill in your answer in the Facebook comment here. You can win a pair of lenses, 'Skin79 Super BB Cream SPF 50++', 'DollyWink Liquid Eyeliner Black' and 'My Beauty Diary Southern France Apricot Mask'.